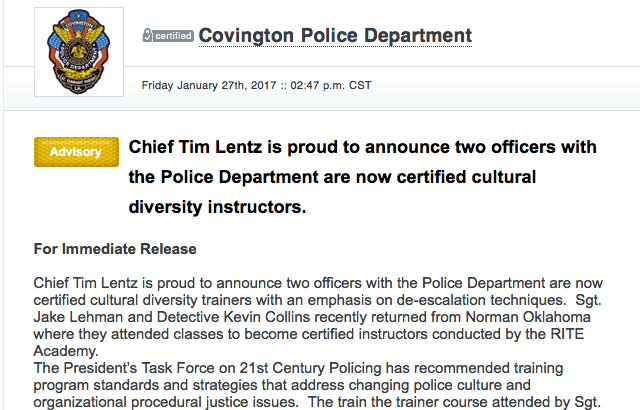 Chief Tim Lentz is proud to announce two officers with the Police Department are now certified cultural diversity trainers with an emphasis on de-escalation techniques. Sgt. Jake Lehman and Detective Kevin Collins recently returned from Norman Oklahoma where they attended classes to become certified instructors conducted by the RITE Academy. 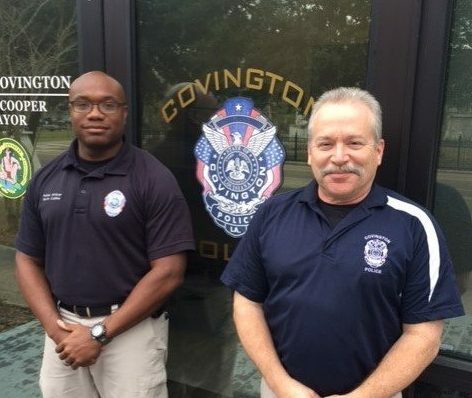 Two Covington Police officers have been certified as cultural diversity trainers and will work with other members of the department to improve relations with the community and learn to “de-escalate high pressure situations,” Chief Tim Lentz said. Sgt. 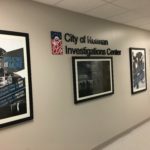 Jake Lehman and Detective Kevin Collins recently returned from Norman, Okla., where they attended classes and became certified instructors through the RITE Academy. 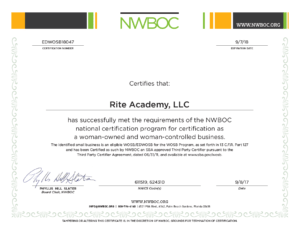 Lentz said RITE Academy, which specializes in cultural diversity training for law enforcement and public service professionals, claims their teachings fall in line with the recommendations of the 21st Century Policing Initiative. That initiative stems from recommendations from the White House Task Force on 21st Century Policing launched in 2015 to help improve relations between police and communities. 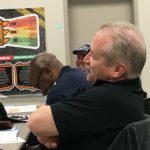 The course taken by Lehman and Collins teaches officers to gauge their emotional state so they do not react negatively, especially in high-pressure situations. 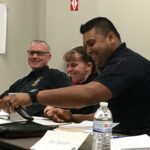 The two officers will train their colleagues how to be aware of their emotions in various situations, and focus on how the officer feels so he or she can improve their reactions. Sgt. 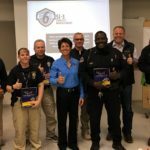 Lehman and Detective Collins attended RITE Training hosted by Norman Police Department, Norman OK. Officers receive PR initiatives as well as a sample press release to share RITE training with their community.